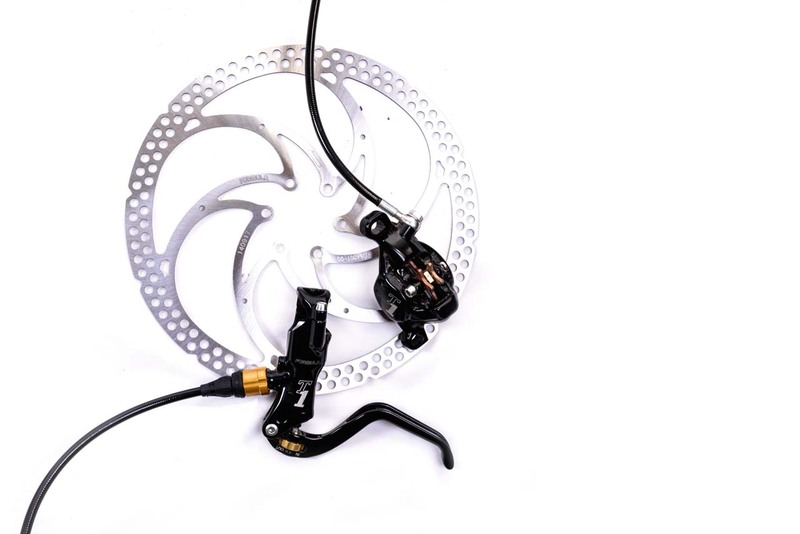 Formula’s T1 is billed as the Italian engineering company’s ‘enduro’ brake, and it’s also claimed to be “light enough for downhill”. It’s a single-piston affair, but given the market it’s pitching into it should still be plenty powerful and indeed that’s what I found. The finish is classy – glossy black anodising with gold details and highly polished bolts – and the master cylinder’s clamp doesn’t take up excessive amounts of bar space, despite its quirky oval shape. Each caliper is one forged piece – apparently using a technique “that directs the aluminum [sic] grain to run the length of the caliper”, for extra strength and improved performance. 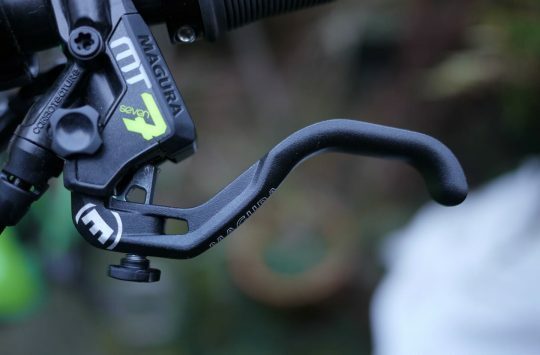 I’m not about to take the hacksaw to a perfectly good brake caliper just to check this is the case, thanks – but the T1s did impress. Once bedded in, they had stacks of power – an impressing amount for a single-piston brake, in fact. The T1 includes Formula’s FCS or ‘feel control system’ – also known as bite point control to you and me. 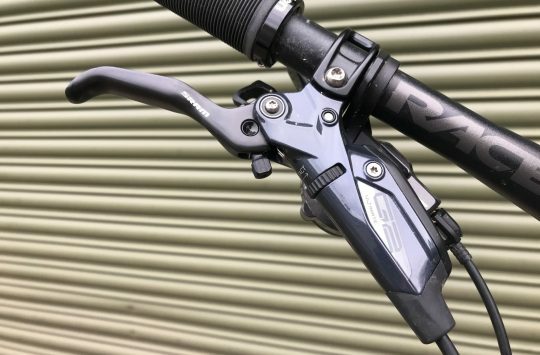 In conjunction with the tool-free reach adjustment, it’s an excellent way to get this brake dialled in to your personal preference, especially if you run the lever at either extreme of the available reach. 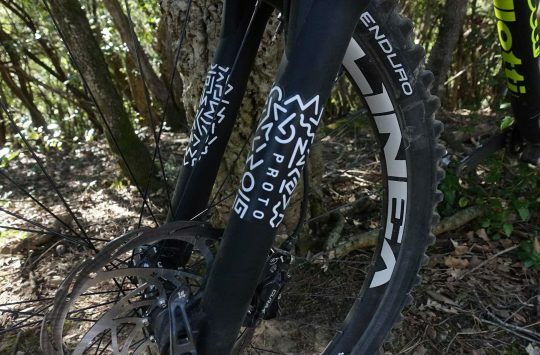 It also goes some way towards mitigating the T1’s sharp bite – there’s not much modulation to be had unless you adjust the bite point to give yourself a little more dead stroke, at which point it becomes more manageable. Worth bearing in mind if you’re a customary brake dragger. That short lever blade is a love or hate thing – those with spades for hands rather than delicate digits might find they struggle to fit two fingers on, but the T1s are more than powerful enough to make one-finger braking an option anyway.